The Main Function room provides for dining in a sophisticated and elegant environment in a classical French Provincial wine cellar setting. 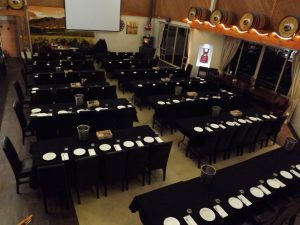 The function room caters for 120 guests with comfortable seating and a table layout to suit your requirements (round, square or rectangular tables). 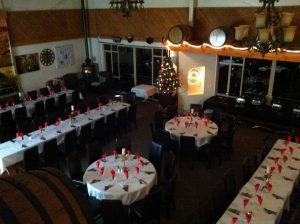 When combined with the Merlot Marquee, more than 200 guests can be accommodated. Arrangements can be elegant formal to fun and informal or romantic with plenty of opportunities to make the room up if necessary. 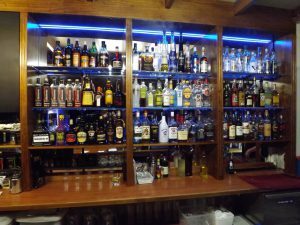 A fully equipped bar is readily accessible. Sound systems and projectors are available for hire and large permanent screens are installed for Seminars and Corporate functions. Can be booked for Product Launches, Training, Conferences, Showrooms, Weddings or Functions.